LONDON (VIP NEWS) — Dance record label Ministry of Sound is suing music streaming service Spotify, claiming Spotify playlists copy its compilation albums. Ministry of Sound regularly releases collections of dance hits. The compilations are not on Spotify, but the label says Spotify infringes copyright because some users' playlists mirror the albums' track listings. Ministry of Sound said "a lot of research goes into" creating the compilations. Spotify did not comment. "What we do is a lot more than putting playlists together," Ministry of Sound chief executive Lohan Presencer told The Guardian. "A lot of research goes into creating our compilation albums, and the intellectual property involved in that. It's not appropriate for someone to just cut and paste them." 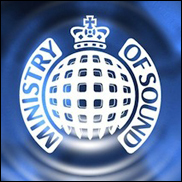 Ministry of Sound launched legal proceedings in the High Court in London on Monday. It contends that the law protects "the expertise and creative effort involved" in curating titles such as The Sound Of Dubstep Classics and Ibiza Annual 2013. The company is seeking an injunction requiring Spotify to remove the playlists in question and to permanently block playlists that copy its compilations. It is also seeking damages and costs. Mr. Presencer wrote in a separate article: "We painstakingly create, compile and market our albums all over the world. We help music fans discover new genres, records and classic catalogues. "Millions trust our brands, our taste and our selection. We give them great listening experiences at a good price." He said some Spotify users had used the Ministry of Sound name in the titles of their playlists. He also claimed the service had refused to remove those playlists when asked. "Several rounds of legal letters later, this dispute will now be settled in court," he wrote. "We believe we have a clear cut case. After 20 years and more than 50 million album sales, the value and creativity in our compilations are self evident." Ministry of Sound does not own the copyright to many of the tracks on its compilations, the majority of which have been licensed from other record labels. Chris Cook, business editor with music industry magazine CMU said he sympathised with Ministry of Sound's position as "there is an effort and art in curation", adding listings services do enjoy a degree of copyright protection. But he added Ministry of Sound risks a PR backlash over the legal action and could be "portrayed as an old style company desperately trying to protect its compilation business". Kieron Donoghue, whose website playlists.net allows users to explore and share playlists, said he had also been asked by Ministry of Sound to remove lists from his site. "As we're only a small company with no budget for legal expenses we've always complied," he said, but questioned the wisdom of the label's court action. "The very fact that users want to have Ministry of Sound content on Spotify but have to create their own, because it's not there, is a huge compliment," he said in a blog post. "Ministry of Sound need to embrace this and work with their audience, not against them. This could quite easily turn into a huge PR disaster." He noted that rival compilation series Now Music had "even gone so far as to compile playlists of all of their albums and have been publishing them on our site since 2011". However, the Now compilations are a joint venture of music industry giants Sony and Universal, who own the majority of the tracks on their playlists, and earn royalties when they are streamed. Ministry of Sound, whose artists include Example and Wretch 32, would make significantly less by providing a similar service. Spotify allows subscribers to listen to the 20 million songs in its catalogue and use them to create their own playlists. The service, which began in Sweden, now has 24 million users in 28 countries. A Spotify spokesman declined to comment.